One of our best friends, J.R., just turned 50, but he is young at heart and never lost his affinity for video games. He is a long-term (years) fan of and player in EverQuest, a super-popular Massively Multiplayer Online Role-Playing Game (MMORPG). He plays the Windows-based game on his desktop PC. 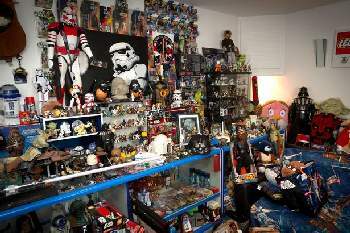 J.R. also has an awesome collection of Star Wars memorabilia, which he proudly displays in his home. EverQuest was launched by Sony Entertainment in 1999, and went on to become the first commercially successful 3D MMORPG. 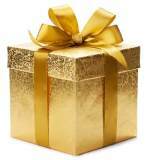 It has had a heavy influence on game development of that genre and could be called "the father of MMO". 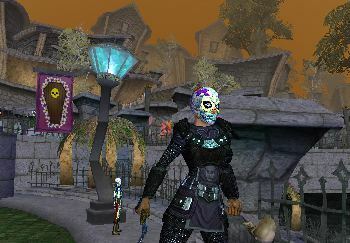 EverQuest far exceeded all subscription expectations and has continued to grow and receive multiple awards over the years. Would you like to take a peek at Everquest? What is PC Desktop Gaming? How to Determine "What Ya Got"
For many hard-core gaming enthusiasts, the gaming desktop computer is still king! Why? The sky's the limit with components and power. You can pile on all the features and hardware you need to smoothly run the lastest games, including 4K games and Virtual Reality (VR). With a gaming desktop computer, you can expand and tweak to your heart's content. But what exactly is PC desktop gaming? Instead of using a mobile tablet or dedicated gaming console [link to mobile-gaming; link to console-gaming-source] the player interacts with his game via a Personal Computer (PC) connected to a video monitor. 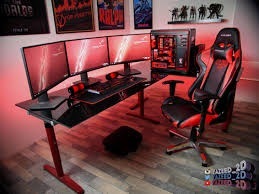 This setup allows for much more "open" or flexible gaming and also permits game developers to change or modify ("mods") the games. PCs also have more room to effectively organize and run multiplayer games online. New advanced networking and Internet technology supports participation in MMOs with amazingly large numbers of concurrent gamers. The PC gaming market is huge; it earned roughly $29.4 billion as of the end of 2017. 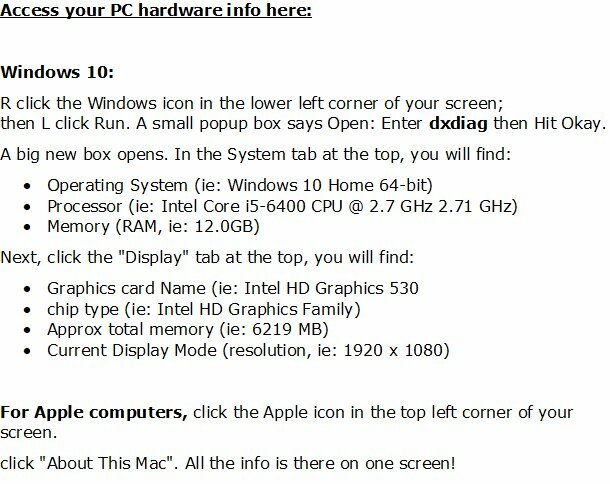 But before you buy, take note of the minimum hardware recommended for first-class PC gaming, below. (In general, the higher numbers are better). Monitor: at least a 27" Full HD display. 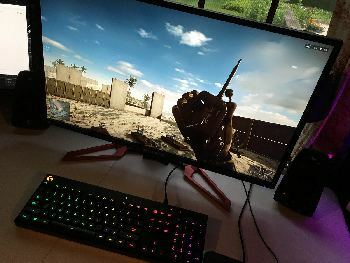 Learn what we feel is the Best Gaming Monitor here. Internet: You will also need a decent Internet speed from your cable company if you plan to explore online gaming: 10-15 Mbs (megabits per second) is the slowest speed we recommend. Peripherals: You can use your regular mouse and keyboard to play most games, but a joypad might be better for action games (like the Xbox 360 wired controller below). How can I determine what I have on my PC now? My 34-year-old son Nick got a Cyberpower CB AMD FXTM 5300 with 8gb of RAM and has had NO problems with his games in over two years. He uses it online a lot, trolling for great free games like ARC, Star Trek and Royal Quest. 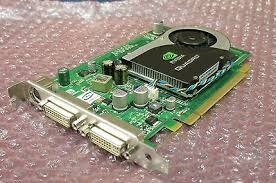 There are literally dozens of companies online which create custom gaming PC systems. This is by far the most expensive route, but you can end up with a superb gaming tool as a result. 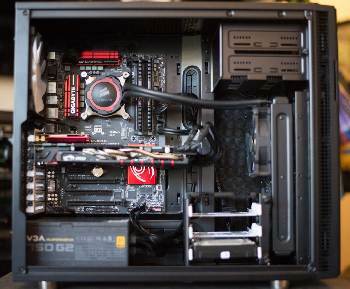 Some popular PC "builders" include: Falcon Northwest, Origin PC, Maingear or Chillblast. CyberPower also builds PCs to custom specs. For a listing of all the popular video games, grouped by gaming device and genre of game, visit: Fun Addicting Games. What's the best video monitor for desktop PC gaming? Should I get a Bluetooth Headset? Is Mobile Gaming for you? Or how about a dedicated home game console?